When I was a boy in the early 1980s, barely into my teens, I borrowed my mom’s black and white portable television set – the kind of old box where you had to turn a dial to tune into the channels – to watch a nice and safe family programme in bed, before my prescribed bedtime. What I actually did was sneakily turn it on at 9:30 at night so that I could watch the UK television premiere of Alien. Now, science fiction for me was simple - it was Star Wars and Star Trek. Big heroes, big adventures, space battles, princesses, cute bleepy robots and all that kind of stuff. So, I sat down expecting a movie about a space monster the heroes had to battle and ultimately defeat. Probably with lasers. As you can tell, I never saw a full trailer for the film and knew what it was about only from reading about it in the TV listings. Safe to say I was terrified. Not only was I watching this film in the dark I was watching it in black and white! Alien in black and white! Have you seen how many shadows and dark places there are in this film? Black and white only helped to enhance those shadows, turn them even darker. In fact, next time you sit down to watch Alien, turn the colour right down to black and white. You'll see what I mean. This movie changed my whole perspective on science fiction movies. I was of the age to appreciate the full impact of the sequel Aliens, being a testosterone-fuelled teen that loved his action movies. Then when Alien 3 came out I had hit the angst-strewn stage of my life, so even though the film didn’t really amaze me – I actually came to appreciate the movie a lot later in life – it connected to my dark and dreary side. Then Alien: Resurrection came out, but I try not to talk about that. So Alien, especially the first (and best) movie, has had quite an impact on my life and my particular tastes in science fiction. I’m not a horror fan by any stretch of the imagination, but the reality and sense of sheer dread and fear of the unknown this film evoked really hit me for six and I mostly became a devotee of the franchise. Mostly. I’ve got quite a few books about the Alien movies and the extras and documentaries on the Alien Quadrilogy DVD give you pretty much everything you need to know about the making of the films, so could Alien – The Archive really offer anything new? Being a fan I was sceptical that I’d get anything new out of this book, but I’m more than happy to be proven wrong. After the rather excellent, and eye-opening, introduction with Sigourney Weaver the book plunges into the history of the films with new quotes, soundbites and interviews with the cast and crew. The book covers everything about the films, from the cast to the early designs and ideas the creative team had regarding the ships, settings and creatures, to weapons, set photographs (some of which I had never seen before), cast-off designs and in-progress models and sets. Sure, there was plenty of information in here that I already knew and some of the images, especially the production designs, I’ve seen many times before, but there was enough new material in here to keep me hooked. As great as seeing the new images was it was also nice to read some new insights and thoughts from the people involved, talking about their experiences decades on. The book made sure that I kept turning the page because with every old bit of information I read there was a nice little bit of new. It also enlightened me a little on some production aspects I had never really bothered about, especially when it came to Alien: Resurrection. I’m not a fan of that film at all, and I think it only served to help end whatever potential the ongoing franchise had (although the Alien Vs Predator films finally put the nails into that particular coffin). It was pleasant, then, to read up on some of the attitudes and see some of the design work that went into the film. It was also great to see more images of the ‘wooden planet’ filled with monks that had been pitched to the studio as the original idea for Alien 3, and after reading the potential that the story had as well as seeing some of the designs it’s almost a travesty that that particular version was never made. After reading these sections of the final two movies, Alien – The Archive makes you appreciate the films a little more but also makes you yearn for what could have been. Something that I also loved seeing was some of the storyboards - or as they were called for Alien ‘Ridleygrams’ – and this made me want to see them all in all their glory for each film, especially the original movie. If Titan Books is looking to do more Alien publications then can I suggest they have a go at getting hold of the original storyboards, with every scene, and releasing them? I can guarantee you’ll get at least one sale. These storyboards open up the movies and almost give you a glimpse at how they would have been in their original, purest form. It’s fascinating and gives even more insight into the universe of Alien and the design processes involved. As an Alien fan, can I recommend this book? Yes, absolutely. There are snippets of information in here that even I didn’t know, images I had never seen before, and just for the sheer self-indulgence of it, it looks wonderful on my bookshelf with my other Alien books. Is it the ‘Ultimate Guide’ as it declares on the cover? It would be unfair of me to answer that, as I’ve been neck-deep in Alien lore since the early 1980s so I like to think that I’ve been around the block with the movies a few times. I’ve seen, read and watched everything I could get my hands on. That being said, I’m still more than happy to add this book to my collection as it dots the I’s and crosses the T’s in many respects. Hardened fans of the franchise will find it a good read and enjoy the atmosphere it invokes. Newcomers to the franchise will find it an amazing, invaluable guide to a series of movies more than worth exploring. Alien – The Archive is out on the 31st October and is highly recommended. A review of two new Lego titles from Titan Comics! Lego Ninjago: #1 The Challenge of Samukai! Sensei Wu has trained Cole, Zane, Jay, and Kai to be Masters of Spinjitzu, and together they defend the world of Ninjago from the dark forces of the Underworld. But when Samukai boasts that he can defeat Sensai Wu and his four young ninja, Garmadon takes him up on his bet! Cole, Zane, Jay, and Kai, the Masters of Spinjitzu, have defeated unbelievably powerful foes and all seems well on the world of Ninjago. But all that changes when the inja are attacked by the one foe they can’t possibly hope to defeat, the one who taught them everything they know — Sensei Wu himself?! This is a nightmare come true when they must somehow defeat their respected teacher and friend — or must they?! Be advised that there is some colourful adult language in this week's episode. A podcast in which we talk about random nerd stuff. Of course, these are things we wanted to talk about, but there's plenty of digression. Thank you to Britain's Got Talent's Stu Arnold for the incredible Arnie introduction! Dreamfall is a fond memory for a lot of people and, if the upcoming Dreamfall: Chapters lives up to expectations, will be again for many more. So I thought it a good time to write up a review of the art book which was released with the special edition of Dreamfall: The Longest Journey way back in 2006. I've been meaning to write this review for a while, in fact, because despite this books size it is, quite possibly, my favourite art book of all. As you can see from the picture it is only the size of the game case, just a little smaller than A5, but what is packed inside fills me with wonder every time I look at it. The layout is, for my money, the standard for every art book ever produced since and it is the standard I'm comparing them to whenever I write a review. A pretty bold and weighty thing to declare, you might think, but this is the book which kick started my collection of concept art books and maintains the pride-iest pride of place in said collection. So what makes it so damned great? Put simply, the art. Might sound obvious but there you have it. The design art for Dreamfall is an excellent example of the best kind of concept design which seeks to impart not just a visual look but also a feeling, a sense of identity, culture and mood. The pictures make you feel something and that's not something you get every day. Hang on, I'm getting ahead of myself. A brief description of the book is in order, I think. Firstly, as I said, it's not very big. Aside from the size it's only about 90 pages long. Did I say only? This is a book which was released with a game, something which happens fairly often now with special editions, but modern 'special edition' art books don't typically weigh in at 90 pages. The first Mass Effect art book included with the game? 32 pages. Mass Effect 2? A little better with 48. Deus Ex: Human Revolution, a game brimming with visual bounty? 39 pages (I'm still waiting for my full size art book Square Enix!). Dark Souls only racked up 60 pages while Hitman: Absolution peddled a not unappreciated 70. There are some games that released art books with a higher page count (Fallout 3 and Killzone 3 neck and neck with 96 pages) but the point is that they are the exception, not the norm. And neither of them are as good as Dreamfall, so there. It should be mentioned that some of the games included above did get their own full size art books (some of which I have reviewed) but they sure as flip didn't come free with a game so no extra credit there. Back to Dreamfall. How much of the book is writing? Two pages. 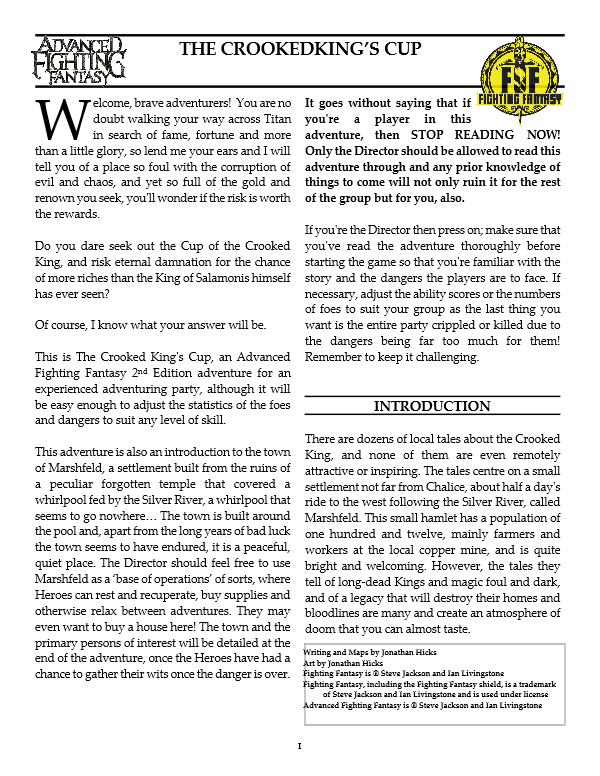 The first two pages, if you don't count the contents page, and these are the forewords by the game director Ragnar Tornquist (who clearly won the awesome name lottery) and the art director Christopher Sveen. Aside from that if you see any writing in the book it's only there to credit an artist. OK so you're not getting any insight into the art and design process as you would with a larger book but then again this isn't a larger book. I really appreciate that every single picture has the artist credited and tells you very simply what the picture is of/about. Aside from that every available bit of space is filled with artwork. And I mean every available space. The book is crammed with art, unlike some recent offerings (I'm looking at you, Watchdogs). So what, exactly, is crammed into every available space? For starters there are character concepts. This is a short section but it displays a nice range of the key characters and gives you a real flavour of the different visual styles between the two worlds (more on that in a moment). There is some spectacular sketch work by Christopher Sveen and Didrik Tollefsen but the majority is 2D full colour designs. There is an even shorter section on the creatures of Dreamfall and you can see here a lot of the influences the artists were drawing upon (including the Grubber with looks suspiciously akin to the cave troll in Lord of the Rings) but there is also plenty more that is weirdly wonderful and new. After the first two sections of the book we get to the meat of this visual feast: the worlds. For those who don't know the game at all I shall briefly elaborate. Quite simply the action in Dreamfall takes place across two worlds; Stark, the technology-driven 'real' world set in the early 2200's, and Arcadia which is a world of magic. Travel between the two is only possible by people who are 'shifters'. We start with Stark and because this is a real world analogy there are many places which do really exist. The protagonist, Zoe, lives in Casablanca and if this is how Casablanca is going to look in 2200 then you should do your descendants a favour and buy up some real estate now. More broadly there's a riot of colours on show here, from the bright and alluring Casablanca to the cold and forbidding factories of Russia (seems they don't do so well). You get high-tech transport mingled with low-tech slums and even a glorious Tibetan monastery. If this had been 90 pages of nothing but Stark designs then it still would have been too short. But of course it doesn't stick with Stark because up next is Arcadia. What the designs of Stark were to a technological vision of the future, the designs of Arcadia are to a land where magic exists. Namely plentiful, colourful and rich in detail and expression. The eerie other worldliness of the Dark People's city is, if you'll excuse the saying, a work of art. There is a third realm, more mysterious and exotic than the others, called the Guardian's Realm which doesn't take up many pages but which is great to pore over too. The book rounds off with some vehicle, technology and set piece artwork which are a nice touch and shows the skills of artist Gavin Whelan to impressive effect. Suffice to say I want to ride in the hydrofoil he designed. To sum up this is a lovely book rich in colour and detail and imagination. Because it came with the special edition of the game it might be harder to track down, certainly if you look for the book alone, but it's worth it for the true collector of concept art. Alternatively you can do what I did. Buy the special edition, keep the book and soundtrack CD (which is pretty damn good), and donate the game. I don't usually do press releases, but this one has me very interested. I'm not a huge fan of Skyrim but I do enjoy it, and the world created for the game has always been interesting and incredibly well realised. I've always wanted to experience the lands of Tamriel without slogging through the game and fiction is usually the way to go. Titan Books are well known for their excellent 'Art Of' boks and this combination of art and story sounds like a winner. Based on the press release below, it's certainly on my to-do list for next year. Titan Books today announces five high-quality, in-universe artefacts for fans of The Elder Scrolls®, Bethesda Softworks’ internationally acclaimed and bestselling video game franchise. Titan Books, known for high quality film, TV and gaming tie-ins, with particular strength in the area of licensed entertainment titles, has been granted worldwide rights on the series. Step into the fantasy world of The Elder Scrolls Online with THE ELDER SCROLLS ONLINE: TALES OF TAMRIEL – a series featuring a vast collection of in-game lore and original art. The two bound volumes chart the ongoing struggles between the Aldmeri Dominion, the Daggerfall Covenant, and the Ebonheart Pact - as well as the deadly invasion of Daedric Prince Molag Bal. Each book features close to one hundred specially commissioned, never-before-seen pieces of art illustrating the lives, the land, and the lore of Tamriel at war. From the archives of The Elder Scrolls V: Skyrim® come the collected in-game texts, THE SKYRIM LIBRARY. This lavishly bound, three-volume series chronicles for the first time all of Tamriel's history, and covers a multitude of Elder Scrolls lore - including the cultures, creatures, magic, myths, and more - illustrated with stunning art. 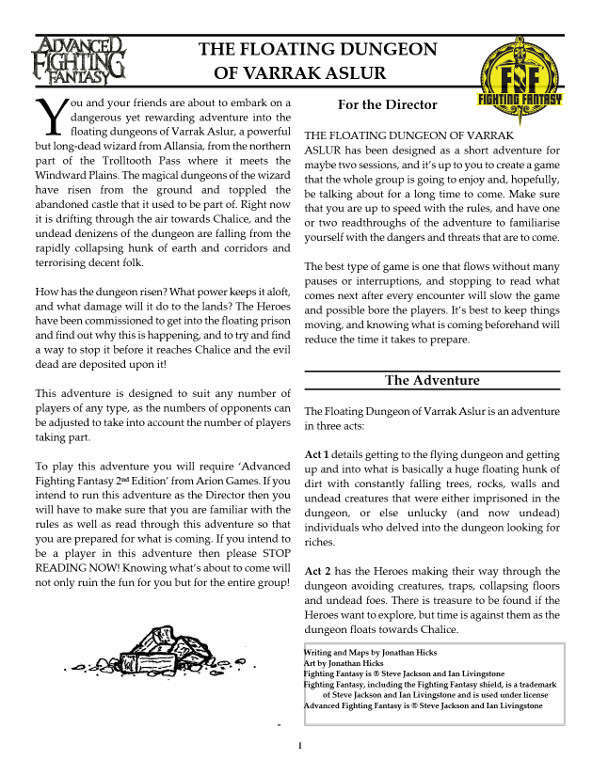 Omar Khan, the series’ editor, is delighted to be a part of this new project, "I'm very excited to play a part in bringing the in-game text from Skyrim and The Elder Scrolls Online to print. Using art and text from Bethesda, we were able craft these amazing tomes that truly showcase the exceptionally well-written and in-depth lore that is the foundation of The Elder Scrolls." THE ELDER SCROLLS ONLINE: TALES OF TAMRIEL – VOL. I: THE LAND and THE ELDER SCROLLS V: SKYRIM - THE SKYRIM LIBRARY, VOL. I: THE HISTORIES are set to hit stores in March next year". With the launch of the frankly amazing ALIEN: Isolation and associated books, Farsight Blogger will be featuring a few reviews and articles regarding the 1979 Ridley Scott classic. Expect a review of the game itself in the near future. We kick off with this review of The Art Of ALIEN: Isolation by Richard Williams. Yet another solid offering from Titan publishing bringing together a great collection of production art for Alien: Isolation. The book is nicely divided into fairly obvious sections (characters, environment, weapons, etc) which I appreciate as I don't like art books to be all over the place without decent consideration to layout. The character design is nice with clean lines and there's also plenty of it. In fact one thing this book does right in spades is to show the iterative process of designing a game and what you'll find in this book is plenty of stuff which never ended up being used. As I've said in other reviews I really like to see that kind of material, the 'game that never was', and especially when the quality of art is as high as it is here. Not surprisingly there is a goodly portion of environment art. I say not surprisingly as Alien: Isolation is a first person perspective game which means that almost all of your time will be spent looking at your surroundings (typically whist cowering behind a work surface, if reviews of the actual game are anything to go by). Therefore the ships and, particularly, Sevastopol station provides the lion's share of concept art. The style is appropriately dark and moody with a keen attention to detail which is just a joy to see. I also really appreciate the handful of examples of concept art from the original Alien movie, linking this work firmly with its source material and demonstrating how close to its roots the game designers were determined to stick. There's a short but fantastic section on the weapons and equipment that players will use and, again, this is where we see a lot of material that never found its way into the final product. This can sometimes go against the game creators as it can leave you thinking 'well damn it, that sounds like something I wish they'd left in'. In this case the idea that players would have to jerry-rig and craft their own weapons, an idea which was dialled back for the finished game. Is that a problem for me, though? No, I get to see top-notch concept art so I'm happy. The section on the design of the eponymous Alien is great but obviously the vast majority of that work was done a long time ago. What this book adds is to show the alien more as more animated and animalistic in a range of poses. Aside from the art there are other elements to consider. First of these is the landscape layout of the book. I'm not a fan of this format as it makes the books on my self jut out and the uber-organised side of me (a normally very small part of me) would far rather have all my books looking neatly the same. Especially since this book came from the same publisher of my other favourite concept art books. Would it have killed them to make a book which fit with their other publications? would it? WOULD IT!? ahem. Sorry. Faux rant aside this is a minor gripe and by no means a deal breaker, I just mention it in the hope that publishers out there are listening. There is also the descriptive text. This is a mini science in itself and I'm glad that Titan seem to have the formula down pat. Not so much that it gets in the way, not so little that you're not learning anything. The text in The Art of Alien: Isolation provides plenty interesting nuggets regarding the design and development process which makes interesting reading without leading away from the purpose of this book, namely top notch art. Do I have any problems with this book? Only a couple and the landscape format of the book is one of them. Other than that there is the fact that artists are not thoroughly credited on the pages. Sometimes the artist gets a mention in the accompanying text but largely there's nothing to say who drew what. As a guy who likes to chase up artists I like online to see what else they've done I find this a little annoying. But only a little. But that really is it. I could make my usual complaint that I would like to see more artwork (because you know there's a lot more in an archive somewhere) but this book is the usual size for an art book and so I think I've just got to accept they're never going to give me all the goodies. So, should you buy it. Two questions; 1) are you a fan of the Aliens franchise? and 2) do you like concept art books? If the answer is yes to either then you can buy without worry as this satisfies both interests handsomely. If the answer is yes to both then you've probably already bought the book without reading this essay of a review and are just as happy as I am. Welcome to Farsight Blogger Jamie Fry - 'The Warlock' - the guy in charge over at the official Fighting Fantasy website. He's a big figure in the Fighting Fantasy scene and is known as something of an aficionado when it comes to the classic gamebooks. Perhaps you'd like to introduce yourself? Greetings, my name is Jamie Fry and I am the webmaster (or Warlock) at www.fightingfantasy.com and all associated official social media. Some seasoned readers may know my other site that is www.fightingfantasycollector.co.uk. I’m a family man with 3 kids and live in Poole. I have a day job at the Local Authority. 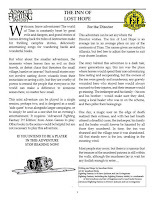 How and when did you first come across Fighting Fantasy? My most vivid memory is seeing the green spines in my local newsagent and seeing the Warlock magazine on the shelf. This would have been when I had my paper round in the mid-eighties. I recall buying House of Hell and Talisman of Death first with the pittance I was paid but it was well worth it. I vaguely remember having contact with them at school as well but don’t remember the green spines so well then and therefore must have had access to the originals not realising their later significance at the time. I was never lucky enough to have them bought for me as some did from school book clubs but I soon discovered the rest in the local bookshop and I would borrow very dog-eared copies from the local library to slake my thirst (ending up having to create my own adventure sheets because there were always used, nowadays I would not dream of marking the adventure sheet). In my late teens I got distracted by girls, beer and work so lost sight of the books for many years until I re-discovered them again in the early nineties when the last few came out. My wife bought me the 10th Anniversary Yearbook as a present which re-kindled my interest but by then a lot of my earlier copies had long disappeared when I moved out of my childhood home. Some fans still tell stories that their cherished book collection has been uncovered by parents when clearing out the loft trying to get rid of the last traces of their off-spring. You're known as something of a collector of Fighting Fantasy and the checklists and price guides are required reading for FF enthusiasts. Tell us more about the collection and how it came about. Back when my renewed interest in the books started again back in the mid-nineties I did not realise it was to end very quickly. Books were still available in the shops so I would pick up the odd title here and there but never really kept hold of them. At this point my first child was born (1997) and FF pretty much took a back seat again. However, in 2002 I discovered that Icon books under the Wizard imprint were re-releasing the books once more with new covers and in a different order. I then set out to buy every book as they were released. It is at this point that my love for the books was re-kindled. In search of a checklist of the books and every related product I would discover no one site could cater for such a need so I set about collating all this information and sometime around 2004 I tracked down Ian and Steve to check the idea out with them and with their blessing I set about putting together www.fightingfantasycollector.co.uk which is not maintained these days due to my commitments to the official site and such like but it stills acts as an on-line pictorial museum of all the books and collectables. Today, the site content has manifested itself into my guide which I make available as a pdf or through the Issuu platform and update it on an annual basis. For the record my earliest guide more or less reflected everything I owned at the time but now it is far bigger than I had ever imagined and contains references to many items I can only dream of seeing let alone owning. One of the best sights was recently at the Fighting Fantasy Fest where I witnessed people walking around with pages from my guide using the checklist as intended to record what they had and what they still needed. It was especially touching to receive a request from a young girl whom handed me her list to see what i had she could buy, I only had an original Starship Traveller left but she still wanted it!. What's the rarest thing you have in the collection? It has to be the original Puffin shop display. I bought it off a store called They Walk Among Us back in 2005. According to the ebay listing and the picture that accompanied it, it belonged to and was from the office of Steve Jackson himself. I took it with me to the Fighting Fantasy Fest a few weeks back and I could have sold it many times over for many times more than I paid for it. I currently value it at £40, although on reflection it could be worth more based on the demand and the fact it is the only one known in existence. In fact if I left it for too long on its own I couldn’t be sure it wouldn’t have gone missing that day. I know one fellow collector had his eye on it but it isn’t leaving my collection anytime soon. I also have the original colour pen and ink map of Allansia, the one from inside The Trolltooth Wars that Leo Hartas tells me is the only one he drew and sent off to Penguin. He recalls you were very lucky to receive it back from the publishers in those days. Others exist, but another rare favourite is the FF logo tombstone bookend by Clarecraft. You took over the official Fighting Fantasy website a few years ago. How did that feel, to get your hands on the go-to FF website? Back in 2009 is when I first met Steve at Gamesfest and got talking about my guide, my website and a few other ideas I had. it was around that time Ian made contact with me (!) to ask if I would sell his surplus books for him, of course I would, what a stupid question. I was squealing like an excited teenager at a Vamps concert when I heard from him. A few visits to his home later I came away not only having spent a considerable time with him (and Steve) on several occasions, I saw things in his personal collection very few will have the privilege of seeing with their own eyes but I walked away with several hundred books signed by them both. This lasted about a year and on one such visit they popped the question. Again, who was I to say no. On the way home that day, if twerking was invented then, that was what I did all the way back! The site had gone dormant since its upgrade a few years earlier and this was it turned out to be due to the then resident Warlock, Dave Holt, unable to spend the time on the site due to personal reasons. They both felt that since I had already got a fan website with followers and was well known for my guide they felt I was best placed to take the role on. It was a slow start as I had a lot to do in the background. Looking back it has been harder than I first imagined but in my eagerness and passion I persevere. What are your day-to-day duties for Fighting Fantasy? I do not have daily tasks as such but as I look after all the social media feeds I will check them every day and regularly tweet or put a post on Facebook to keep the fans informed. I try to put news on the official website every week and make tweaks here and there as required. I also monitor the e-mail traffic as well. Through that we get a lot of licensing enquiries, amateur adventures and artwork for the website, lots of queries about the books and collectors wanting to buy books in order to complete their collections. It may come as a surprise but I have to find out what is new and upcoming the hard way, it is rare to get the heads up if something has changed or new is coming out or happening. I often find myself trawling around for news and hope I have found it in time to post it to the website as soon as possible. So, if you see stuff before it is on the official site that is why. Those that have read anything I have written or said in the past may think I keep changing my mind but I can be forgiven if that is the case because of the sheer number of titles available and reading through different ones the favourite may change. However, having said that, my ultimate favourite will always be House of Hell, more recently I re-played Forest of Doom and loved it. I keep coming back to Deathtrap Dungeon and Trial Champions as well. I have fond memories of Temple of Terror and strangely, Beneath Nightmare Castle which others take a dislike to. Oh and The Warlock of Firetop Mountain, that is the epitome. It's been a while since we've seen any reprints of or new Fighting Fantasy books. Can you give us an idea of what's next for FF? The last I heard neither Ian nor Steve have any known plans to write a new title other than for the 40th Anniversary in 2022 (both will be in their seventies by then). That is still 8 years away to wait and anyone thus far trying to fill the gap with new titles have been turned down, that could change of course (fingers crossed). 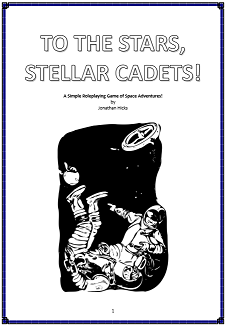 Equally, whilst we have seen an upsurge in interest for the gamebook genre, this particular brands publisher has little appetite to pursue re-prints let alone new titles. Apps are going to keep coming out and miniatures of different types will be released. It is rumoured that a boardgame might materialise as may a card game. Plans for merchandise such as t-shirts are in discussion as well. We may even see a movie of some kind as well. Who knows really, I still get excited about what is around the corner and telling the world about it. Please welcome to Farsight Blogger the team that makes up AetherCon - Event Coordinator Stephen J. Holodinsky, PR Coordinator Joe Sweeney, Technical Coordinator John Brese and Fest Hall Coordinator Stephen Jacobs. “The 3rd annual AetherCon Online Tabletop RPG Convention is a gathering of pen and paper roleplaying gamers that will take place in cyberspace on the weekend of November 14th-16th, 2014. AetherCon is a free to attend, free to partake, non-profit initiative. 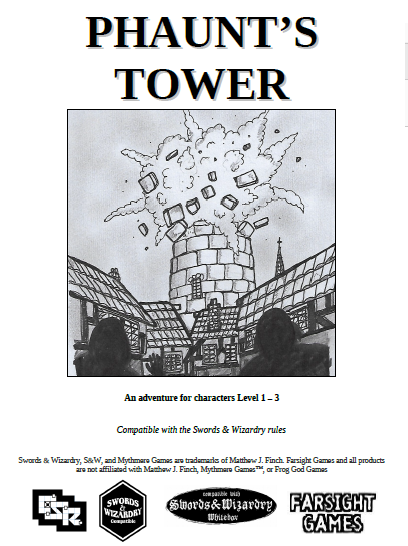 Thoughout the weekend there will be a plethora of tabletop RPGs on offer for all to play in. Among those will be three, three part tournaments taking place over the three days of the event with final tables to be played on Sunday. [/two_third_last] All games will be run on the free, browser-based virtual table tops INFRNO and Roll20. These programs will allow GMs and players alike to simply click on a link and enter the playing area as opposed to needing to download and install the software to participate. In addition to the collection of independent RPG playing opportunities and those run by RPG publishers, there will also be Q&As and themed panels as well as speedpainting duels using the free, browser based conferencing program Anymeeting. A further highlight of the event is original artwork that will be released periodically by those artists partaking in the speedpainting duels in the run-up to our event as free downloadable wallpapers. You will be able to find the schedule and registration for all Aethercon events on Warhorn. 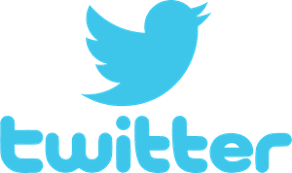 Hi guys - Perhaps you'd like to introduce yourselves and tell us something about your gaming history? Stephen J. Holodinsky: Stephen J. Holodinsky grew up in a part of Canada that used old Buicks on blocks as lawn ornaments, son of an appliance dealer Father and a Mother whose heart was in the right place but had no sense of timing when it came to clapping in rhythm at baseball games. He played drums as a youth and was one of four on his block who did so (it was a noisy neighbourhood). He's also worked the tobacco harvest, delivered refrigerators, planted trees, gone to university, stopped going to university, and worked at a once proud institution of a blues hotel in Toronto, now deceased. It was during this time he began playing RPGs. He once had a AD&D 2nd Ed Half-Elf Ranger get brained by a pot thrown by a big mean angry Momma Troll while 60 feet up in a tree outside of the City State of the Invincible Overlord taking 2d10 + 6d6 falling damage (it could have been worse, I landed on the pot and not the pot on me). He has since played a bunch of other games including Gamma World, Traveller, Boothill, Serenity, Savage Worlds, Pathfinder, RIFTs and many others but holds a special place in his heart for the setting of Harn. In the midst of all that dice rolling he took a sabbatical from gaming to go over to Europe where he lasted for 10 years on a backpack and $2200 CDN. It was over there that he learned that the German phrase 'Hast Du mal feier?' (Do you have a light?') was not one word. He also lost his passport while getting a lift, nearly fell off of two mountains and got lost on a third, moved Canadian soldiers into their homes, worked for the post office, hitchhiked between Bonn, Germany and Reading, UK in 18 hours (upon which he waited another 6 for a bus to take him the last 30 or so miles to Oxford), and had a band called 'The Flaming Ted Rogers' whose sole claim to fame was almost opening for Jeff Buckley Jr (the promoter pulled a bait and switch). He took up gaming once more five years after returning and among other things makes up Pathfinder characters to blow off steam. He is a big Toronto Maple Leafs fan despite the fact that they last won the Stanley Cup when he was four years old. John Brese: Well, my name is John Brese aka Winged Human, and I’m a 34 year old father of 4. I’ve been “gaming” since about my 8th grade in Jr High School, where I met my long time best Friend, Chris. I had previously heard about Dungeons and Dragons, but neither my parents, nor any of their friends played it. It was one evening that my parents had taken my siblings and I to the library that I saw my classmates, huddled in an enclosed room. I wandered in, introduced myself and asked what they were doing. It was then and there that I began my love of gaming. I have delved into all aspects of what I consider gaming, from Miniatures, to board games, card games, Roleplaying face-to-face in a table-top setting, and online. To this day I continue to try to be involved in all aspects of the gaming culture. Stephen Jacobs: I started gaming in the mid 80's. I was in 7TH grade at the time and our art teacher had a copy of the D&D red box. A friend of mine introduced me and I was hooked. 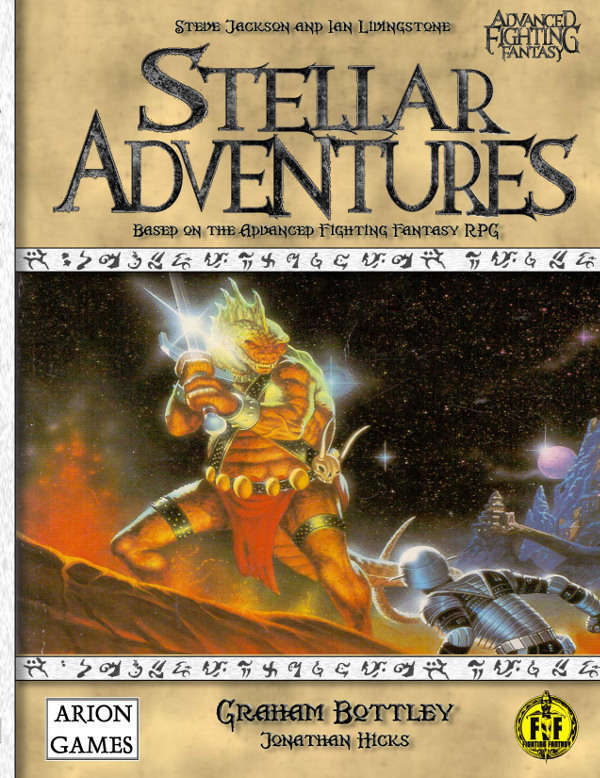 From there we branched out into almost any RPG we could get our hands on, including Car Wars, Metamorphosis Alpha, Gamma World, Vampire. In 89 I meet Winston Hamilton of GR/D who got me hooked on the Europa series of war games as well as the WWII miniatures game Command Decision. Today I own Multiverse Comics & Games in Grinnell Iowa. I still play D&D, but I've moved into Pathfinder, Savage Worlds, and most recently the Edge of the Empire RPG by Fantasy Flight Games. We play Warhammer and Necromunda at the shop and I've been pretty heavy into Magic the Gathering for nearly 17 years now. Tell us more about AetherCon; when did you come up with the idea and how did you get it started? Stephen J. Holodinsky: When I did return to my hometown, the only game shop that did exist had long since closed and the RPG scene was long since dead. This meant turning to the internet to find other players. I'd been out of the game for 15 years at that point and when I started frequenting different chatrooms the one thing I took away from that experience was the fact that everyone was at each other’s throats about this game over that game or this edition over that edition. The anonymity of the internet had basically turned the RPGing community on its head. Before I left to go to Europe, it was much different. If a new game came out, it didn't matter who wrote it or what edition it was, folks were all over it. Everyone wanted to try it. It was much more communal. There were no groups of folks who hived themselves off from others based on this game or that edition. There may have been a time in the past when the RPG industry was big enough that it could afford such fissures, but that time is definitely not now. There are a bunch of different places to put a person's entertainment dollar these days. Movies, Concerts, Nightclubbing, Sporting Events, Theatre and the list goes on. It is highly unlikely that RPGs ever ranked above maybe 15th on that list, especially when you start counting the various sports separately as they should be. We couldn't afford infighting and backbiting or not only would we stagnate, we would lose folks to other things. If someone were to come into a chatroom who was interested in RPGs but had never played before and watched one of these donnybrooks unfold, why would they stick around? That is the primary reason AetherCon was started, to bring gamers from all over the world and of all stripes together. We like to say that 'there is no RPG or RPGer that can't fit under the AetherCon Umbrella'. We try to live up to that at all times. 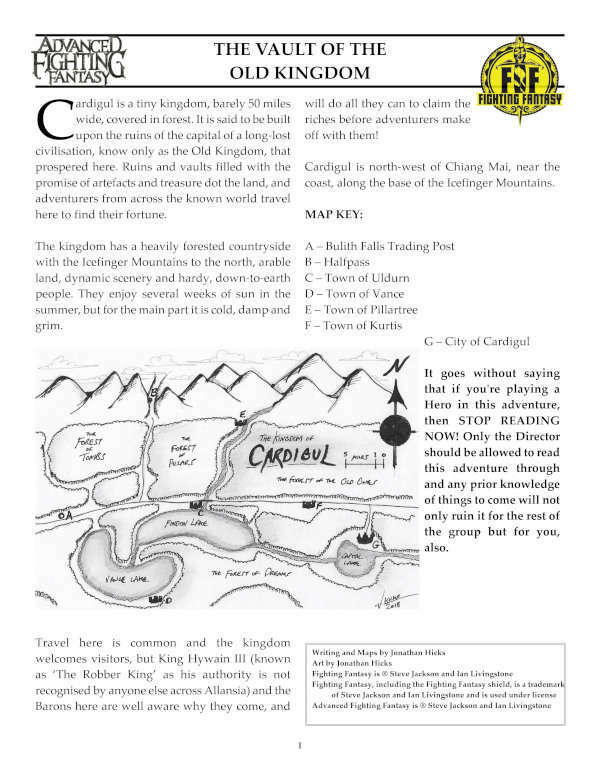 Our goal is to be the 'tribal moot' for all RPGers. Joe Sweeney: I was not involved in the development of Aethercon. However, I’m a huge supporter of gaming conventions, both off-line and online. They are the lifeblood of the gaming community: the best place where you can make new friends and try out new games. StoryWeaver actually maintains one of the largest lists of gaming conventions on the net: (Global Gaming Conventions Calendar) and we offer support and prizes to many of these. If you’ve got a gaming convention, we love to help make it a success! John Brese: I was recruited by Stephen for AetherCon 2 (AC2). Originally I was asked to be the lead contact for training all of the guests and panel moderators on how to utilize our conferencing software (Anymeeting). I worked closely with the Technical coordinator at that time as well as Stephen. I was eventually asked to actively monitor all of the anymeeting rooms during the event last year. Afterwards I was asked to fill the role that I do now as Technical coordinator for the whole of AetherCon. Stephen Jacobs: I helped out in Aethercon II as a retailer supporter. Stephen invited me to join the staff in the spring of 2014 as a PR rep but I quickly moved around through several positions from video editing to web site design. My experience with the game shop makes me pretty flexible when it comes to tasking. It's a huge online convention so it must be a hell of a job. What's involved in managing all of this? Stephen J. Holodinsky: It is a massive undertaking with numerous facets. There is a bunch of outreach involved, to gamers, to publishers, to artists. You need to keep in touch with everyone, coordinate everything so everyone involved with a particular facet is on the same page. There can be no surprises. There the tech side of it as well. We have podcasts both throughout the year and on AetherCon Weekend. We have to have knowledgeable folk onboard to make sure all of that runs smoothly. It is fortunate for us that this year, for the first time, we actually do have what resembles a multi-person Tech Staff. Could we use more bodies? Who couldn't? But right now we are looking at four dependable IT experts whereas in the first two ACs we had none and one respectively. Our PR Arm and Administrative Arm has also been added to which has helped immensely. You have to be aware of how things are working. Can we improve here? If so, is it a tweak we can slip in now or is it something that we have to wait to implement for AC IV? What do the gamers, publishers, artists think? We send out a survey specifically to ask that after each AetherCon. There is no such thing as a perfect convention. You can always make it better. Anyone who tells you they have one is selling you a bill of goods. We need to improve year on year. So long as we move forward, we are not moving backwards. Joe Sweeney: When Stephen asked if we could help out with Aethercon this year, I knew it was going to be a big job. Luckily, I have a wonderful employee, Jaie, who has taken over most of the hard work. I think the secret to running a successful convention is to be really well organised – something I’m not. Jaie has been invaluable in that respect. John Brese: Managing something like this is an undertaking that was completely overwhelming when I first became involved. It’s like a juggling act of immeasurable proportions, and quite honestly I have no idea how Stephen H. keeps it all straight. But I would definitely say that the primary thing involved in managing is communication. This virtual convention would almost immediately disintegrate without a consistent line of communication between all departments, and participants all the way from Stephen down to the individual players. AetherCon has volunteers from all over the world, and I am constantly impressed by every volunteer’s willingness to make this this event the best online RPG convention as possible. Stephen Jacobs: Everything. The convention is as complicated to manage as any business and we are all volunteers. There is public relations, whether it's through our web site or Facebook. There is getting publishers, vendors,supporters, Gms and players together in a network that has to span the globe, and keeping them excited. Since we don't have a physical location we depend upon the tenuous connection of the net, which can be a pretty fickle monster at times. What kind of pressures are there and how do you cope? Stephen J. Holodinsky: There are some things that we do not have to worry about that Real Life Cons do such as space booking and guest accommodation etc. At the same time, we have no operating budget. Expenses like the server we are on or aps for the website etc, all come out of pocket. It was never our intent to be money mountain. That's not why we started this. Everyone here is a volunteer, including myself and we recruit from the internet. That combination can be lethal when it comes to finding help because it is so easy for someone to bail on their commitments without ever having to answer for doing so. If you are hired to do a job and don’t do it, you get fired. You might not like the particular task you have been assigned but your paycheck depends on you doing it, so like it or not, you deliver the goods. We do not have that luxury. We only ever ask of our volunteers one thing: 'If you say it, do it.' I'll be honest here. If we had a dollar for every person who came to us and agreed to be a part of AetherCon only to either back out or simply disappear weeks later, we would have no recruiting problems because we would be able to afford to pay everyone. When it comes to recruiting, folks buy into volunteer opportunities for one of two reasons. Either they commit to the mission or they commit to those behind it. No one knows us from Adam and we've yet to prove anything to anyone so the whole 'cult of personality' thing is a non-starter. That leaves the mission. People make time for what they believe is important in their life. That's human nature. "X is important to me, I'll prioritize it, Y not so much, I'll let that slide." We need to make AetherCon more important to more people year on year. As for coping, personally I try to play RPGs when I have the time which to be honest is not often. I listen to sports talk radio or music when I'm doing stuff for AetherCon. I watch TV to unwind after the day is over and I make RPG characters. Joe Sweeney: I think the biggest pressures for me, as someone who is supporting the endeavour rather than running it, has been simply time management. Putting together a convention like this is almost a full-time job in itself, and since I run my own business (two in fact) ensuring that we set aside the time needed to get the job done right is very tricky. It’s a balance between doing what I love, and doing what is going to pay the bills. John Brese: Have you ever heard the expression “It’s like herding cats?” Well, imagine that, and compound the fact that all of the cats are spread all over the world, with all levels of backgrounds not only in the RPG arena, but writing, artistry, and technology. My best coping mechanism after a long day of working on AetherCon, is to put on some moderately loud music and continue my quest to finish “A Dance with Dragons”. Stephen Jacobs: Time. Besides working for AetherCon, I am the Quality Manager at a plastics factory here in Grinnell, I own Multiverse Comics and Games, and I run a part time office cleaning service in partnership with my mother. I have a pretty good support group in my local bunch of friends and family and that is what keeps it all together for me. I make sure I have time at the shop to actually sit down and play some of the games with folks. What can we expect from AetherCon III? What do you have lined up? Stephen J. Holodinsky: You can expect a whack of gaming opportunities both on Roll20 and INFRNO, 18 very good Themed Panels with a ton of really good guests, 24 Live Publisher Q&As, and 18 top end artists going head to head in Speed Painting Duels all weekend long. Oh and prizes. We will be giving away prizes in the Ox & Mule General Chat Room throughout the convention and making the draw for the big one, the Convention Program Bundle (download the PDF to be entered) Sunday evening. John Brese: Stephen would best be the person to answer this question, but what I can say is that we have more GMs, and players involved with AetherCon than we have any previous year. This year will be specifically spectacular because those volunteers involved have done so much work to make this the best possible. Stephen Jacobs: Lots of guest panels, and lots of games, and most importantly lots of fun. My store is holding a cosplay contest and a magic tournament in conjunction with the con and I’ll have a computer set up so folks can participate in the panels. What are you looking forward to? What's your personal favourite part of the event? Joe Sweeney: Personally, I’m really excited about the panel sessions. Being based out of Australia, it’s quite difficult for us to be part of the mainstream gaming community in the USA. Just being able to sit and listen into these panel sessions, to see the faces and hear the voices of the Masters of role-playing, is going to be awesome! John Brese: I’m definitely looking forward to all of the Q & A sessions. I love hearing from some of the new Game makers, as well as some of the “old dogs” of this industry. My personal favorite part of the event is seeing all of the players and GMs playing and getting together for one Weekend to enjoy their favorite hobby. The community is my #1 priority, and I am thankful every day that I get to continue to be involved in such an awesome undertaking with such a great bunch of people. Stephen Jacobs: I'm looking forward to it being a success and then growing even bigger for AetherCon IV. The panels are going to be great and the in store events I'm planning at Multiverse. I sometimes wonder how the age-old Haunted House story can be given a new lease of life, how it can be reinvented with new and exciting twists. It’s been done so many times in different formats, with differing levels of creepiness and darkness and, if the mood calls for it, violence. Dark rooms, badly-lit staircases, shadows on the walls and basements you simply don’t venture into just because you heard a noise… yes, the Haunted House story has been done many times and may even be a little trite. So, I came to Kim Newman’s An English Ghost Story with a little cynicism; another haunted house? I’m not sure about this. You can’t get me with jump scares as it’s not a movie, and I’ve read enough ghost stories to have some kind of idea of what’s to come. Newman doesn’t really go down that route with this book. Oh, there’s levels of creepiness in the story that got my back up but the underlying mystery is incredibly compelling. A nice touch, and it’s something that gives the story depth and the house itself personality, is the inclusion of a story by the house’s previous occupant, a children’s book author. This story really is the central key that makes the story work… but I can’t go into any more detail. This really is a mystery that you’ll have to read with no prior knowledge to appreciate. The family in question, the Naremores, are the primary characters in all this and they’re a great family to read about. They gripe and snipe like any normal family and the mother/father/daughter/son combination gives every reader a character to latch on to and share the story with. This means that the characters drive the plot and that also means that the suspense is heightened because you come to care about the family and their fate. There are chills, and these chills are what you’d expect from a ghost story and that expectancy makes them feel a little predictable, but the investment you have in the characters and the unfolding, and very intriguing, mystery makes those chills much more prominent. Kim Newman hasn’t reinvented the wheel with this book but he has given us a sharp, enjoyable story with an excellent mystery and some enjoyable, identifiable characters that you come to feel for which only helps to heighten the tension. 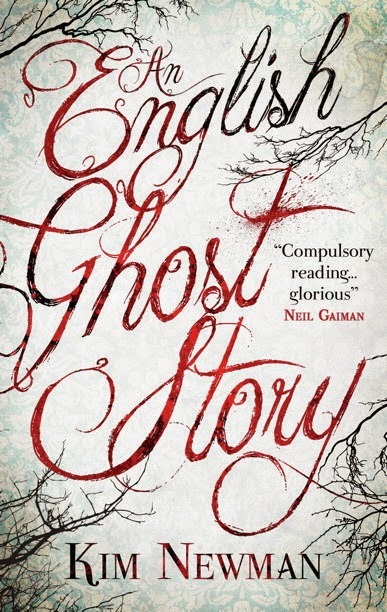 An English Ghost Story is a great book and, while it doesn’t break any new ground as far as spooky stories are concerned, it makes for an excellent, suspenseful read.